Online Coal CRM Procurement Portal. International Conference and Exhibition On Energy and Environment - Challenges and Opportunities (ENCO-2019), 20-22 February 2019, Vigyan Bhawan, New Delhi, India. Switching over to e-procurement from Manual Tendering in CSIR-CIMFR. Guidelines for processing of EoI and Agreement / MoU at CSIR-CIMFR, Dhanbad. Corrigendum e-tender for the procurement of Microwave Digestion and Synthesis System. 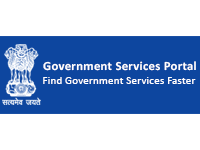 Invitation for Tender after PBC for Hiring of Principal service providers/Indian agents of foreign principals, for procurement of services for the job of collection, preparation, parting and transportation of coal samples under supervision of CSIR-CIMFR. EoI are being invited for Implementation of Geo-Synthetic Concrete Composite Mat (GCCM) in Mines and Other Areas and Implementation of Mine Transport Surveillance System (MTSS) in different mines and industries. e-tender details for Construction of Lab. Building (G/F) at CSIR-CIMFR Bilaspur Unit. Revised NIT for Supply, installation, commissioning equipment for in-situ stress measurement with hydraulic fracturing including hand on training, demonstration and measurement of the in-situ stress in 14 different boreholes (6-8 horizons in each borehole) and analysis of data. e-tender details for repair and maintenance of finishing work at colony area, CSIR-CIMFR HQ, Dhanbad (Inside). e-tender details for Isoperibol bomb calorimeter. e-tender details for Microwave Digestion and Synthesis System. e-tender for Supply, installation and commissioning of Vibrating wire based geo-technical instruments. e-tender for Inverter/UPS and Battery. e-tender for Ultrasonic System for Laboratory. e-tender details for Three (03) Year License Renewal (Gold Support) for Unified Threat Management Device. e-tender details for Multi Para Monitor, Body mass Index Measurement Instrument, Spiro meter, Blood Glucose/Sugar Meter. e-tender details for Tread Mill. e-tender details for In-situ stress measurement system with hydraulic fracturing. e-tender details for Blasting Seismograph with 4-channels system. e-tender details for Supply, installation, commissioning equipment for in-situ stress measurement with hydraulic fracturing including hand on training, demonstration and measurement of the in-situ stress in 14 different boreholes (6-8 horizons in each borehole) and analysis of data. e-tender details for Hiring of Service provider for Third party coal sampling. e-tender for Electrification works in Annex Building of Guest House at CSIR-CIMFR, Barwa road, Dhanbad. E- tenders in two bid system part A Technical Bid and EMD and Part B Price Bid are invited for the job Coal Sampling and allied work at Ranchi unit of CSIR-CIMFR Dhanbad. e-tender details for renovation of ODB at CSIR-CIMFR HQ, Dhanbad and Construction of Lab. Building (G/F) at CSIR-CIMFR Bilaspur Unit. NIT for Principal service providers/Indian agents of foreign principals, for procurement of services for the job of collection, preparation, parting and transportation of coal samples under supervision of CSIR-CIMFR. NIT for Job contract to carry out wooden work of Engg. Workshop. e-tender details for PM10/PM2.5 sampler. e-tender details for Portable Delay Timer. e tender details for Procurement of Six-channel Human whole-body vibration meter.